HBO's dark summertime drama, Sharp Objects, has hooked audiences with its grim plot since it premiered on July 8. 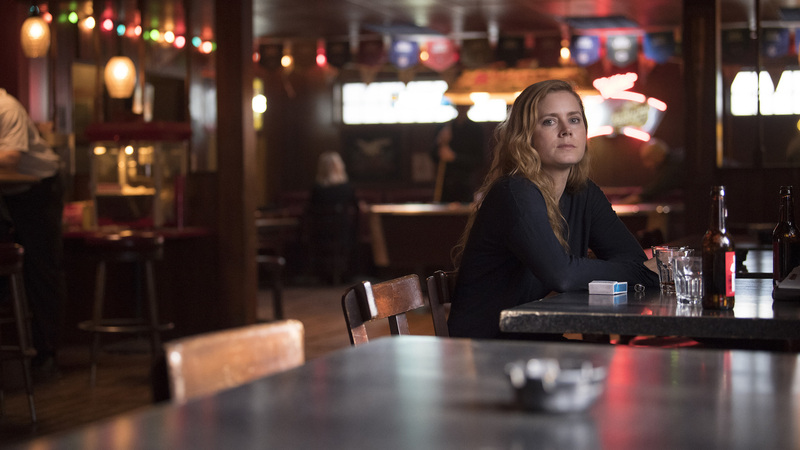 The limited series stars Amy Adams, who plays an haunted journalist named Camille Preaker who has to return to her hometown to investigate the possible serial murders of two teenage girls. Given the show's dark story and even darker characters and despite Adams having handled dark roles before, it would appear that embodying Camille was a tougher undertaking than she expected. Entertainment Tonight reported earlier this week that during the HBO Summer Television Critics Association press tour, Adams opened up about the mental toll that playing Camille actually took on her. "I felt crazy," she explained bluntly. "I had insomnia and anxiety and I'd have to realize that I didn't own it. It belonged to Camille." Adams even reportedly noticed that when she was off the Sharp Objects set and going about her more domestic duties with her daughter, Aviana, she noticed that if a problem was bothering her, it was usually a problem that Camille faced on the show. It was a sign to Adams to go back to work and really work to get it out of her system as much as possible. Given the full mental and physical commitment required to turn in a strong performance, it's expected that Adams — a seasoned actor — would commit fully to the role. Camille is a woman deep in the throes of addiction to alcohol and is frequently seen chugging it at all hours of the day. She is also no stranger to self-harm, using it as a coping mechanism on the show whenever personal issues surface and overwhelm her. It makes sense that, as an actor, Adams taking on Camille's ghosts would be hard to shake off once cut was called. Thankfully, as costar Patricia Clarkson noted, the cast of Sharp Objects stayed very close during the shoot and became a support system for one another. "I think what saved us, in a way, is that we were quite close off camera," she remarked, going on to comment with a laugh, "so we had these traumatic days… and then we would drink fake alcohol on set, and then have real alcohol." "There's a closeness that either existed or became during shooting, so that helped us through some of the darkness," Adams added. With only three episodes having aired at the time Adams made these comments, it's easy to get worried about what's in store for Camille in the coming weeks. Let's hope there's a little bit of lightness at the end of this dark journey for the Sharp Objects character.